According to the Institute for Tribal Environmental Professionals at Northern Arizona University, “over the last 100 years, average global temperatures have increased by approximately 1.2 degrees C(2.2 degrees F) due to increasing atmospheric concentrations of heat-trapping greenhouse gases (GHG), including carbon dioxide (CO2).” International leaders, climate experts, and policy makers outlined in the Paris Agreement a 3.6 degree F rise as the high marker for a “safe threshold” on Climate Change. Climate experts from NASA, NOAA, and the U.S. Centers for Environmental Information announced on January 18, 2017, that 2016 was the hottest year in 137 years of known record-keepingand the third year in a row to boast that position, citing long-term warming from human-related activities. Of the 17 hottest years on record, 16 have occurred since 2000.The Paris Agreement, signed April 22, 2016, is the international treaty acknowledging the threat of Climate Change and humans’ responsibility for it, and setting target goals for reducing GHGs. In June of 2017, US President Donald Trump indicated that he would attempt to pull the United States out of the Paris Agreement(the only country that has attempted to do so). Climate Change can impact the environment through increased duration and intensity of drought, increased habitat range of invasive plant and animal species, increased duration and intensity of flood events, increased severity and duration of wildfires, increased vector borne disease distribution and abundance, altered precipitation patterns, warmer temperatures, higher atmospheric CO2 concentrations, and higher intensity and longer extreme summer temperatures. In addition to the ways that Climate Change will impact everyone, Climate Change affects tribal communities in unique and important ways. Factors include “poverty, high unemployment rates, and inadequate housing [that] increase the level of climate vulnerability of tribes within the US.” Often, as in the case of Fort Berthold, community livelihoods are dependent on agriculture, which will be impacted by drought, flood, and heat events. Climate Change also affects tribal communities through the loss of traditional, medicinal, and culturally significant food resources, the loss of traditional knowledge due to “rapidly changing ecological conditions,” and impacts to access and rights to water. Compounding these impacts is the fact that tribal members generally reside on their Reservation land, limiting available adaptation options. According to the Environmental Protection Agency, North Dakota has “a continental climate characterized by large temperature variations, irregular precipitation, plentiful sunshine, low humidity, and nearly continuous wind,” which could leave it particularly vulnerable to changes in the climate. The United States Department of Energy (DOE) has said “energy infrastructure is especially vulnerable to climate-related impacts, which can pose a serious threat to America’s prosperity, national security, energy security, [and] quality of life.” Climate Change impacts the electric grid through increased peak demand and more frequent and severe extreme weather events. Not only does it impact our immediate environment, but it is costly to adapt to. For example, in 2017, wildfires in Southern California and major winter storms in the mid-South and Appalachia knocked power out for more than 250,000 meters that are served by electric cooperatives. Such outages require vast numbers of personnel and time and money to fix. Overall, climate research shows that the electricity sector was responsible for 28% of total greenhouse gas emissions in the United States in 2016. Finalized on August 3, 2015, the Clean Power Plan (CPP) was established by the Environmental Protection Agency in order to significantly limit carbon pollution from U.S. power plants driving Climate Change. The Clean Power Plan “is a regulation that requires states to reduce carbon dioxide (CO2) emissions from power plants by changing the makeup of its electrical generation assets, mostly through the reduced use of fossil fuels and the increased use of renewable generation.” According to the North Dakota Department of Health, the Clean Power Plan is expected to reduce carbon emissions from electricity generation by 32% (when compared with 2005 levels) by 2030. The state of North Dakota is tasked with developing a plan based on the rate of carbon emissions (lbs of CO2 per MWh of power generation) or on total mass emissions (measured in tons of emissions per year), requiring power plant operators to reduce pounds of CO2 per MWh of power generation by 45% or by 37% based on the tons of emissions per year. Carbon emission reduction plans would be phased in beginning in 2022 with final compliance expected by 2030. The CPP states that only renewable energy projects constructed after January 1, 2013, apply to carbon emission reductions. Due to the number of coal-fired power plants operating in North Dakota, the impacts would be significant. As of 2012, only 21.5% of electrical generation in North Dakota was from renewable sources (wind, solar, and hydroelectric). 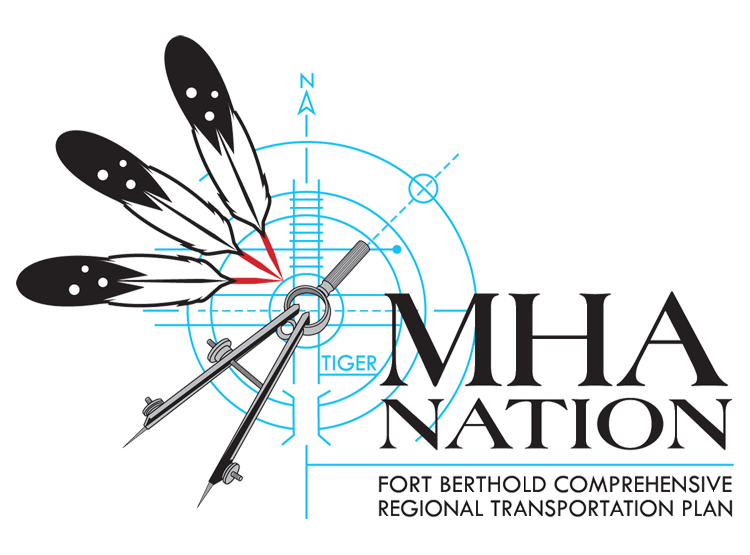 Through the development of the Fort Berthold Electric Transmission Plan, MHA Nation can identify and address some of the areas they impact and where they are impacted by Climate Change. This is the first step in being proactive to address the impacts of Climate Change on MHA Nation now and into the future.